Super opportunity! Rarely available! 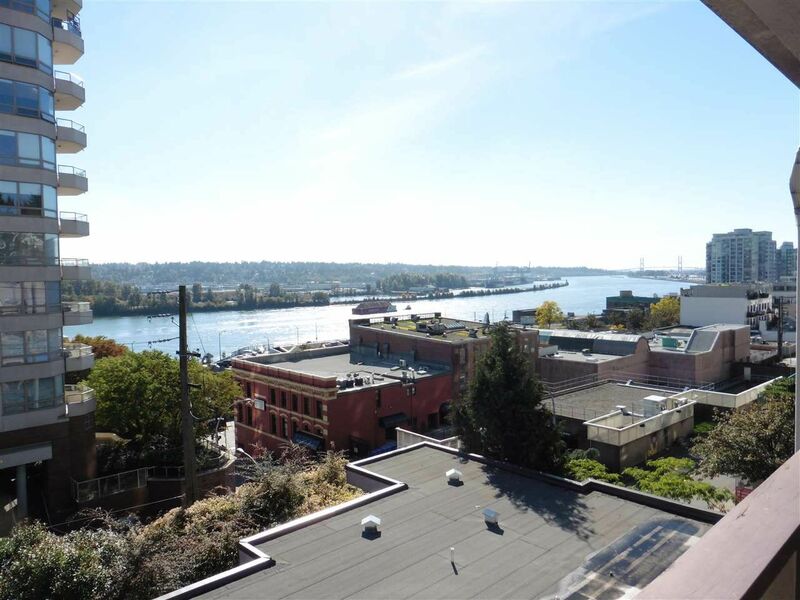 Spacious two bedroom, top floor suite with a stunning Fraser River view. You'll enjoy the beautiful sunrises and the lights reflecting on the river at night. Relax on your 30 foot wide balcony, one of the largest in the building. Huge entertaining sized living room and large rooms with laminate floors throughout the suite. Some new light fixtures. A very clean and bright suite! One cat or dog up to 44 lbs. Rentals allowed. Great location across the street from the Columbia skytrain station. Only a short walk to Pier Park, River Market, the Quay boardwalk and all of the downtown shops and restaurants. Ideal for a young family or as an investment property. Excellent value!